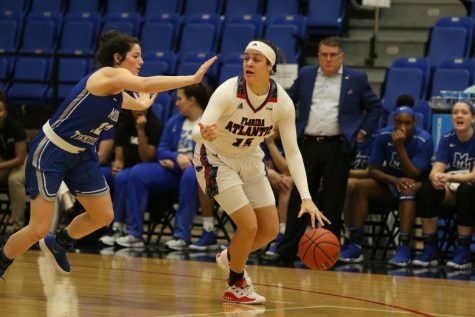 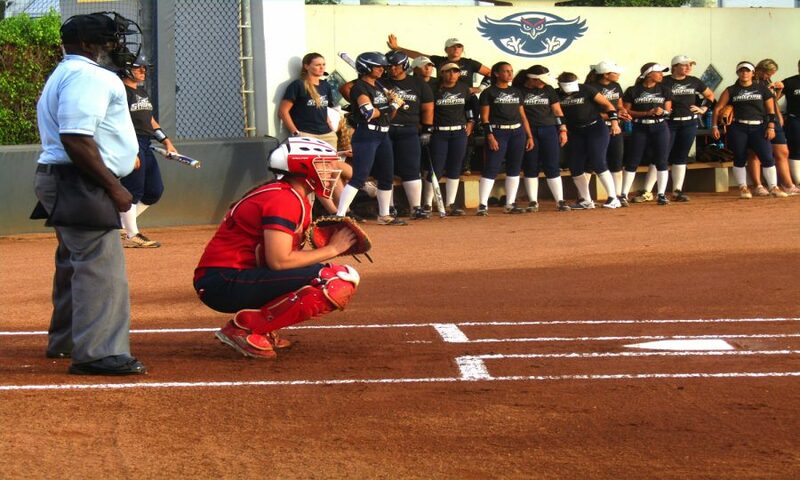 FAU sophomore catcher Kaitlyn Burke (5) prepares before the start of the match against Palm Beach Atlantic University on Wednesday evening. 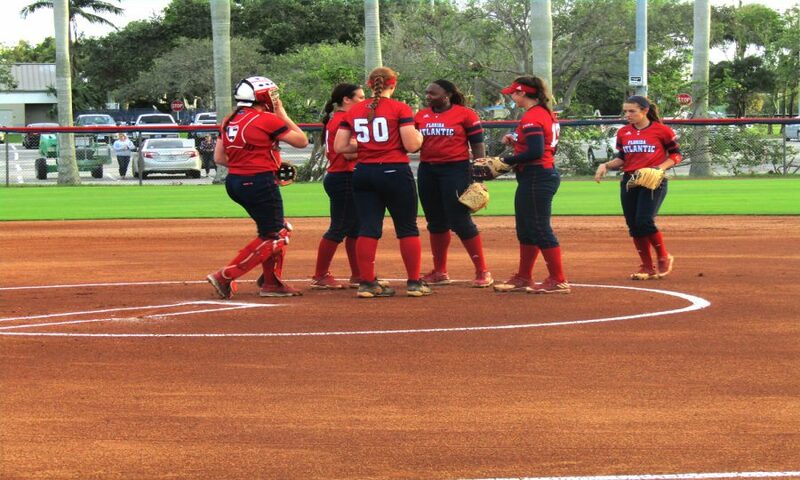 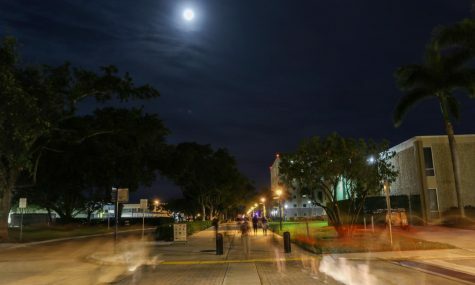 FAU softball team huddles up together for a pep talk before the start of the match against Palm Beach Atlantic University on Wednesday evening. 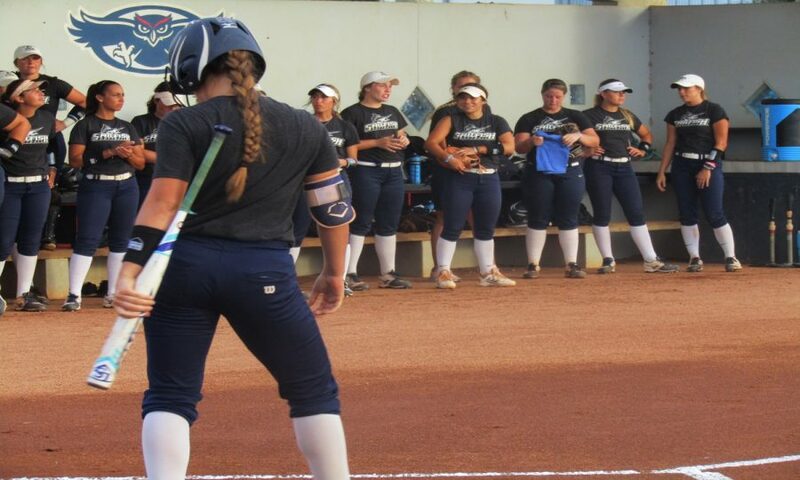 Palm Beach Atlantic softball team wait on the sideline while their player goes up first to hit the ball on Wednesday evening against FAU. 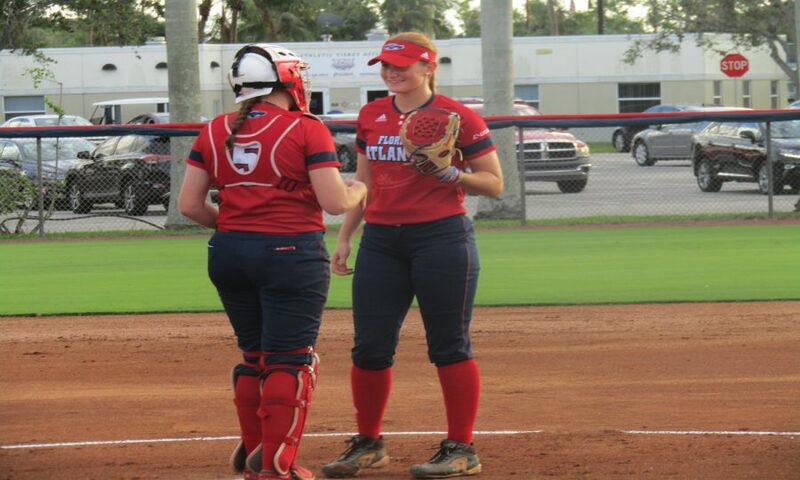 FAU sophomore catcher Kaitlyn Burke (5) talks with FAU freshman pitcher Sloan Hammons (55) before the first pitch of the match. 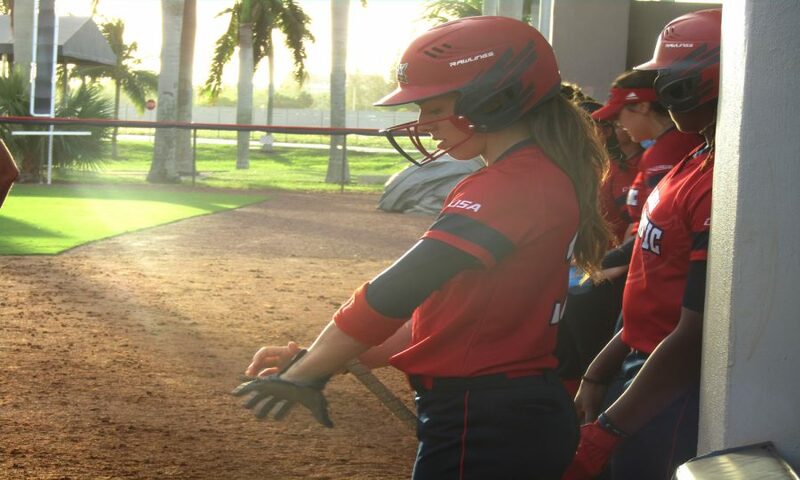 FAU junior outfield Madisyn Palmer (3) puts her gloves on before going on the field.